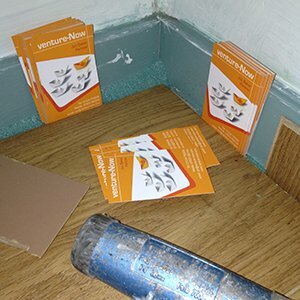 For many reasons the need for new business cards does not only happen when they have run out. A crossed out contact number or hand written email does nothing for your professional image! Apologising for your business card is not a good start when introducing yourself! Revamping and updating your business cards is essential even for a short period of time. 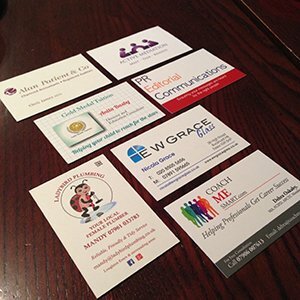 Although more expensive a short run of digitally printed business cards can be a stop gap while details are finalised or premises are being changed. You may have a new qualification to add or a new title, changed your company name, new contact details or website address. Your business may have evolved and have changed your services or updated your branding. 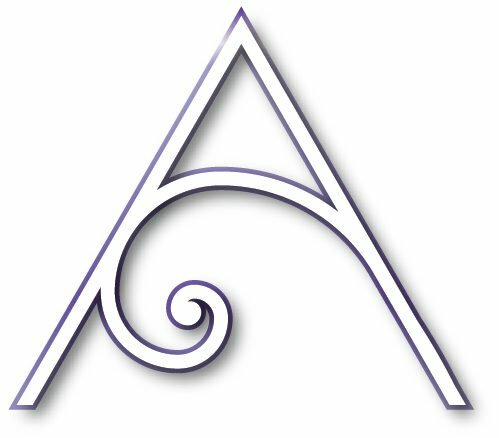 You may just want a change and are fed up and need a new design…? Investing in a new business card will promote enthusiasm and energy, showing off the new business card starts a conversation. This in turn leads to further discussion allowing an opportunity to discuss the changes and benefits of the new business/service or outlook! However, what do you do with the ones you haven’t used? Instead of throwing them all in the recycling (well they will be recycled!) here’s a few innovating ideas to make use of them first! 1. 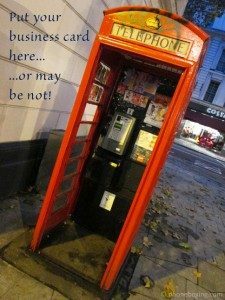 Find a phone box – they are still around – and post a few in there – you may not get the right enquiries but it could encourage a new customer base! 2. Go round placing them on car windscreens in supermarket car parks. 3. Find as many competitions that ask for a business card for entry – this is useful if you are about to change the contact details as you could win the prize but later their marketing list wont have your new numbers! 3. Projectors always need levelling. 4. Meeting hard sell enthusiastic salesmen at networking meetings. 6. Someone you owe money to… well it may work for a while! 8. Scrapping “stuff” off your shoes! 5. Handy size for prompt cards during a presentation. Any further ideas please let me know! So don’t just put up with your old and out of date business cards, rest assured, they can have a useful life after retirement in so many ways!